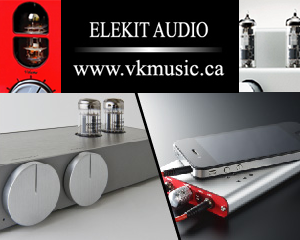 The Elekit uses 12AT7’s for both voltage gain and phase splitting, two for each channel. And I already had three quads -two NOS and one new production – of my own. I wouldn’t have to beg, borrow and test the patience of the kind people who have loaned tubes unstintingly on previous occasions. As these are tubes from my personal ‘inventory’, there’s no time pressure to return them or write the review. Why three quads you ask? Spares for my DIY phono stage. It’s not ready for prime time yet, so the Ellie amp would suffer yet more tube-change related trauma after the power tube shootout that I subjected her to. Decent NOS 12at7’s are available at reasonable to reasonable-ish prices, likely because of the aforementioned limited audio use. Unless of course, you have your heart set on some Amperex or Telefunkens. Then the prices are, to say the least, eye watering. A note to guitar players: The 12AT7 is not normally used in guitar amps, the exception being as a reverb driver in some Fenders. This is a punishing job for a 12AT7, and the only one that’s reportedly up to the job is the JAN Philips 12AT7WC. Your amp tech or favourite tube vendor should be able to sort you out. All tubes under review had at least 120 hours run time on them before serious listening commenced. In my experience the sound of all tubes change, from when they’re fresh out of the box. Some by a little, some by a lot, and almost always for the better. A couple of the Mullards and two or three of the RFTs flashed brightly when powered up. To the uninitiated, and even us old timers, this can be disconcerting to say the least. This is normal for European tubes of a certain vintage and is not a defect. It’s just that the filament flashes brightly for a second or two then settles down to its normal glow. I’ll start with the tube I’m most familiar, simply because I had a quad of these close to hand when the TU-8340VK arrived. Sound: The sound of these tubes was balanced once broken in. That doesn’t mean much, not having compared them to any other tube – but the Tung-Sols didn’t offend, which is a good start. Bass seemed extended and reasonably articulate, mids were clear, and the highs struck a good balance between too dull or too bright. The sound of these tubes in the Elekit, optioned as described above, was very good even in comparison to a much more expensive amp. Mullard CV4024 A 12AT7 equivalent that was made in the tens of thousands for UK military spares, probably to help keep the Mullard factory open. As such, they are some of the least expensive Mullard NOS tubes around. The manufacture date on these is 1985. Between 40 and 50 US dollars each is what they will set you back. (~$55 to 68 CDN) These particular tubes don’t have ‘Mullard’ printed on them, but the “R” code (see picture) indicates that they were made in the Mitcham UK factory. 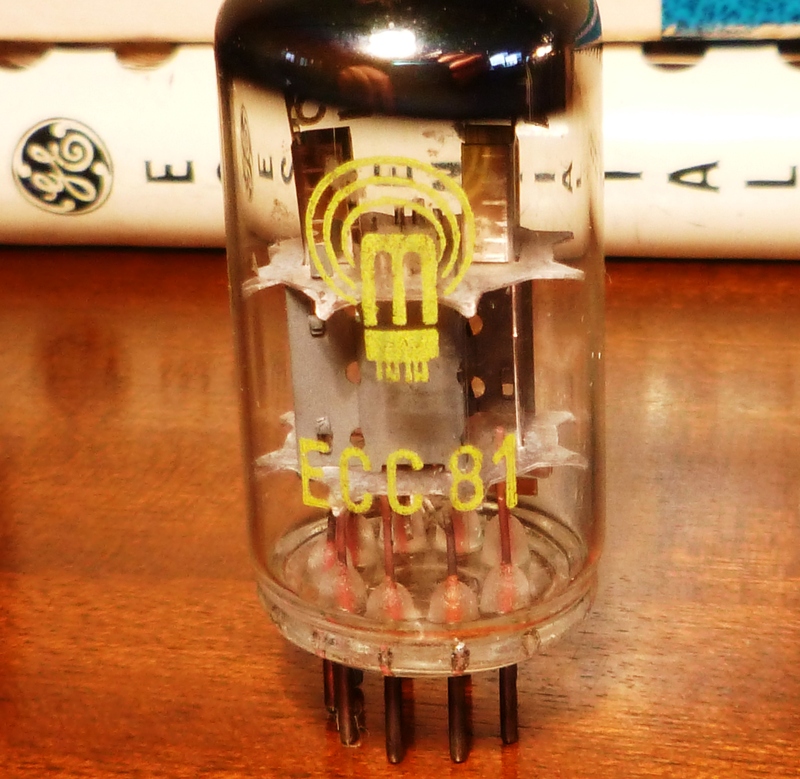 The same tube is available with the Mullard name and logo, but usually costs an extra 10 or 15 bucks. Sound: Take what I’ve said about the Tung-Sols and add about 25%. Bass was as deep, but a bit more detailed and articulate, with slightly better control. Mids, whether vocal or instrumental, were just a bit more “there”, in that they seemed to reach out of the speakers and grab a bit more of the listeners attention, in a good way. Highs were a bit brighter, and that can be a double-edged sword, especially with overly bright speakers like the Triangles. With less bright speakers, the highs sounded just fine. Sound: These tubes sound like they’re channeling the sound of old Telefunken smoothies. That is, if you buy in to the stereotype – no pun untended, well maybe a small pun – that Telefunken smooth plate tubes were all about the midrange. The RFT’s put the emphasis on the midrange and lower treble. The bass isn’t as extended, nor does the high treble seem quite as articulate as the Mullard or Tung-Sol. Vocal sibilance is spotlit, which is not a good thing. All in all, these tubes don’t have the balance I’m looking for. They might work well in other applications, but in the Elekit they didn’t make the cut. The Tung-Sol and Mullard are contenders. The RFT, not so much, for what I value in a listening experience. Is the Mullard worth approximately twice as much as a Tung-Sol? It depends how much you value that 25% more performance, and whether you think it will be even audible to you in your particular component and system. I know what you’re thinking: “So how does this help me, my phono stage uses 12AX7’s and my line stage 12AU7’s?” I’m sorry, but I can’t give you a definitive answer. But one thing I’ve learned recently is that a lot of the new production tubes sound at least OK, and some of them darn good. Could Tung-Sol 12AU7’s and 12AX7’s at $22 and $17 US (~$31 and $24 CDN) each respectively be as good as the 12AT7’s tested here? Who’s to say, but the price isn’t crazy, and I’d take a chance on a pair. Here’s the thing about tube shootouts: equipment and listener preferences vary so much, that I can’t really predict which tube someone else might perceive as “best”. I can suggest ones to steer clear of and ones that might work well. This should narrow the field a bit, but in the end you just might have to try a few different ones to find your favourite. I try to avoid very expensive tubes in my shootouts because I don’t want nasty comments from disappointed tube-o-philes. Is it worthwhile chasing down rare (read: really, really expensive) NOS tubes? Let me tell you a story. A few years ago I acquired a pair of Valvo Hamburg first generation NOS, NIB 12AX7 long plate tubes made in the 1950’s. When used in the first gain stage of my phono preamp they were not nearly as quiet, by a large margin, as the Sovtek tubes they replaced. Positioned further along the amplification chain the noise might not have been objectionable. If you are buying tubes for high gain positions – a phono stage for instance – it’s best to pay a little extra and have low noise ones selected. I didn’t pay much for the Valvos, but don’t ask if I’ll sell them, my cousin has his eye on them. The Valvos made me think of the hundred-plus year old bottles of wine that are auctioned for lottery jackpot prices. The wine is not fit to drink; it long ago turned to vinegar. It’s just the collector value they’re being sought for. Decent quality new wine and reasonably priced new and not-so-old NOS tubes are readily available. Don’t pine for expensive old wine and tubes. Get a new bottle on your way home tonight and get some new tubes too. Pop the cork and spin some tunes. It’s a great time to be a music lover. This is where I usually nag you folks about putting a few hours on new tubes as soon as you get them. I took my own advice, for once, and sure enough one of the NOS tubes expired after about five hours use. It had been purchased from a reputable vendor and was replaced without charge. You point out clearly that your findings hold for the amp you tested the tubes in; however, readers might be quick to generalize. In my VTL amps, the rfts outperformed the Mullards. I’ve tried three tubes, RFT, Siemens, and Mullard, best to worst in that order. Which VTL do you have? And what happened with the sound when you put in the RFT:s? You are quite right that people might dismiss the RFTs based on my findings. I should have included my standard YMMV disclaimer regarding sound being circuit and system dependant to say nothing of musical and listener preferences. Would you care to share your listening experiences with the tubes you mention in a bit more detail? I encourage all WOS readers with tube based components to try a little tube rolling. But start at the less expensive offerings first as my experience has been that the very expensive NOS are often the ones that let you down the most. The 12AT7 was not originally meant to be used for audio; it was intended for RF amplifier/mixer/local oscillator service in the front end of FM broadcast radios and tuners. This is why the original 12AT7’s had such a small internal structure of its sections; This is better for VHF radio frequency operation. The main reason it is probably being used for audio is because it has more gain than a 12AU7, but can drive lower load impedences and has more output signal voltage swing capability than a 12AX7. I would stick with a 12AX7 for high-gain input stages, and a 12AU7 for line level and driver circuits. It depends, like everything on the application. I don’t think I’d ever use the 12AU7 in anything though, it simply is one of the worst tubes in its class, objectively. I’d do a 6FQ7/6SN7 or jump to 5687/7044, etc in that mu/gm category. The 12AT7 has some applications where it will do much better than the 12AX7, even though it doesn’t appear as inherently linear, such as a CCS loading for a simple driver stage. It has more Gm, so it will drive the miller capacitance much better for a bit of a loss of gain. Thank you for your comment Mr. Kiley. I read recently that audio must make do with the components mass market electronics sees fit to use and therefore make economical to manufacture. With the exception of bespoke capacitors say, I believe this to be true. The 6DJ8 and its variants is another example an RF tube that has a wide following with specialist audio. The “DJ” has been used in phono stages, line stages, as a phase splitter and even the output tube in some headphone amps. See my 6DJ8 shoot-out on this site. I haven’t had a lot of experience with the 12A?7 family of tubes in audio but I must say it has been more positive for the 12AT7 than the U7 or X7. Some years ago I did a lot of 12AU7 tube rolling and many of the classics I wouldn’t thank you for. However some of the U7-like variants were fairly decent. See my latest My Audio Life. 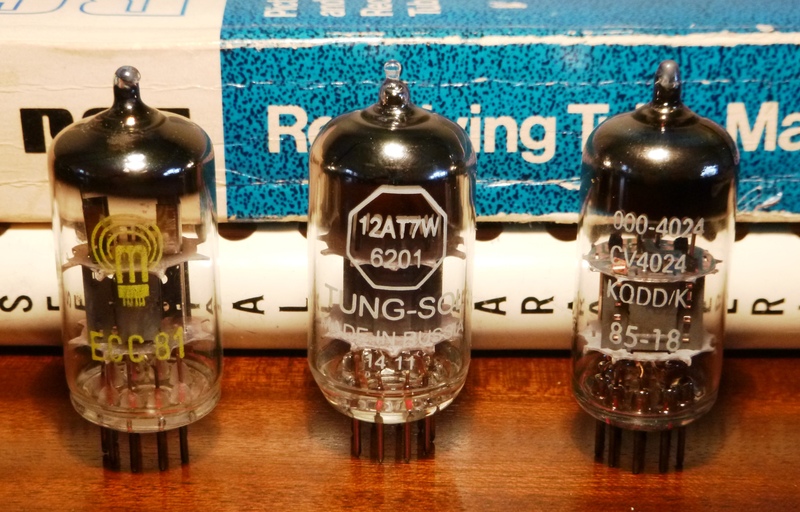 My more recent experience with 12AX7s in a phono stage has left me less than impressed with this family of tubes too. Many classics are too noisy and some modern ones have gotten noisy after not many hours. The Elekit TU-8340 uses 12AT7s and all four sockets of the phono stage project prototype (soon to be a feature series on this site) uses them as well. So far I’m impressed with the performance 12AT7s in both of these components. I hate to generalise, we all do it, but it only goes to show we must keep or minds and our ears open. 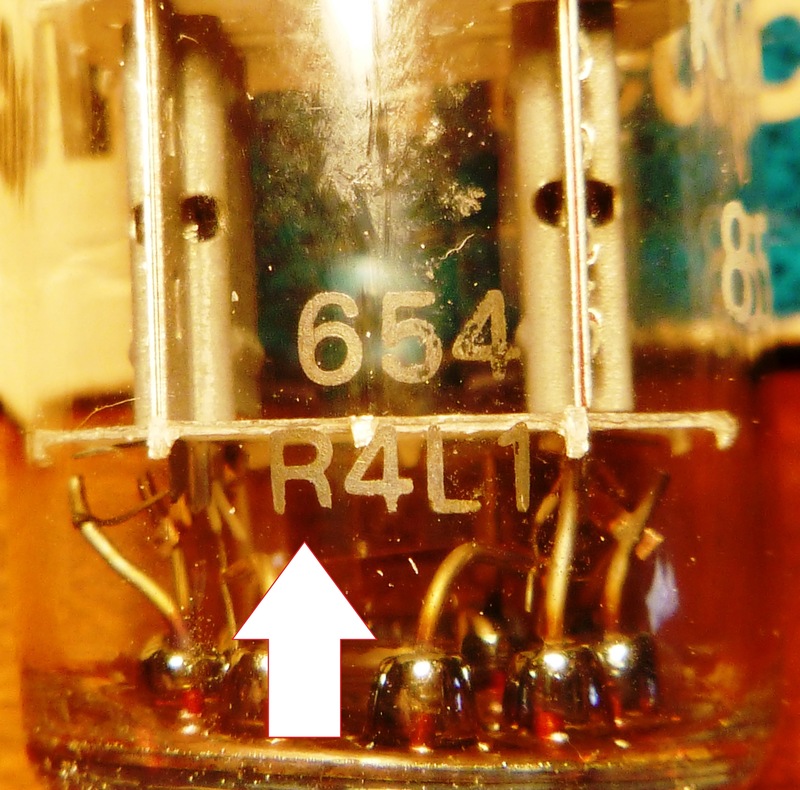 Back in the late 1940’s, when these three tube types were introduced, the 12AT7 was for VHF TV and FM radio receiver RF circuits, while the 12AX7 was meant for low-level preamps, including magnetic phono and tape head pickups, and microphone inputs. They were intended to have low noise and microphonics; premium type 7025 was a better one for this. 12AU7 was a general-purpose type, with lower gain, but more robust; this guy was used in all types of audio, video, instrumentation, and industrial equipment from diaper pins to rocket ships. Since virtually all of these non-audio uses have long faded into the trash heap of history, the way recent production versions of these tubes are made may have changed more toward audio applications. Perhaps entirely new tube types need to be developed which are more dedicated to, and better serve, the needs of quality sound reproduction. Your wish has been granted Mr. Kiley. To my knowledge the KT120 and KT150 were developed specifically for audio. But you may be correct that it’s quite possible today’s small signal tubes might be optimised more for audio. Or maybe we just got used to them. Let’s not forget the advances made in resistors and especially capacitors in the last 50 or so years as well. We audiophiles need to acknowledge the part played by the electric guitar players of the world. Back in the dark days when about the only major company making new tube gear was Audio Research Corp, and maybe a few others, it was the demand for guitar amp tubes that kept the tube factories alive. And maybe military tube demand, especially in the east block countries. I’m not sure about the Russian 6H30 but the specs on the Russian 6H6n lists it as an AF tube. I’ve recently bought a few 6H6n tubes to experiment with on a DIY project. Thank you for your interest in Wall of Sound. If you wish to add more please feel free. I’ll let you have the last word.